Each year following qualifications the American Dairy Association surveys the starting drivers and gathers the milk of choice from each. The milk options are then bottled, kept in a cooler, and ready to be handed over to the victor following the race. 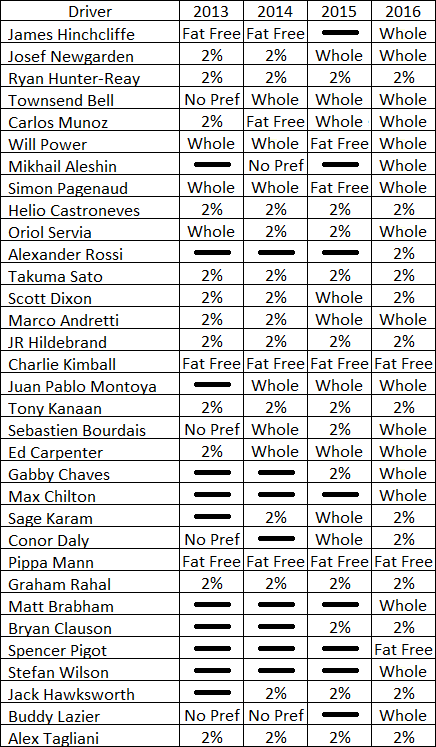 Each of the 33 driver's selections and how it compares to their previous choices.